While wintertime is a time of sledding and snow forts and holiday cheer, it also unfortunately heralds cold and flu season. Here, pediatrician-moms Dr. Naline Lai and Dr. Julie Kardos give you ways to prevent these winter maladies. Wash off potential cold and flu germs before eating, wash after playing, wash after blowing your nose or sneezing and after throwing out a used tissue. There’s a rule for everything, including the optimal time of hand washing. Scrub hands in warm soapy water for 20 seconds, the time it takes to sing the Happy Birthday song twice, to wash off cold and flu germs. An ounce of prevention (either a small injection in the arm or a small squirt in the nose) is worth more than a pound of cure. Medicine to treat flu shortens duration of symptoms for only approximately one day, and every year some previously healthy but unimmunized children and adults die of flu virus. Unfortunately we have no vaccines against common cold viruses, but fortunately most colds cause inconvenience rather than morbidity. Try to do this even within your own family. Inevitably your preschooler will drink out of your 12-year-old’s cup the hour before your 12-year-old starts to complain about a sore throat. When serving food to your children and their friends, avoid a community bowl. Don’t put all the popcorn into one bowl for sharing. Instead, make individual bowls of popcorn. This decreases the chances of germs spreading. You don’t need to go overboard, but adding garlic to your foods not only adds another layer of deliciousness, it also boosts your milk supply. Garlic has been used by nursing mothers for centuries to help boost their milk. A modern bonus for moms who don’t like garlic: garlic pills are commercially available and are said to have no aftertaste. Teach your children to do the same. Cough (and sneeze) into the crook of your arm, not your hands, if you do not have a tissue available. Use paper towels, if available, rather than communal towels in any bathroom that you visit. Make sure you and your children get enough sleep and eat nutritious food to ensure a healthier immune system. Unfortunately, the ability of “immune boosters” and nutritional supplements, such as high dose Vitamin C, zinc, Echinacea, etc, to prevent cold and flu symptoms has not been studied in children. 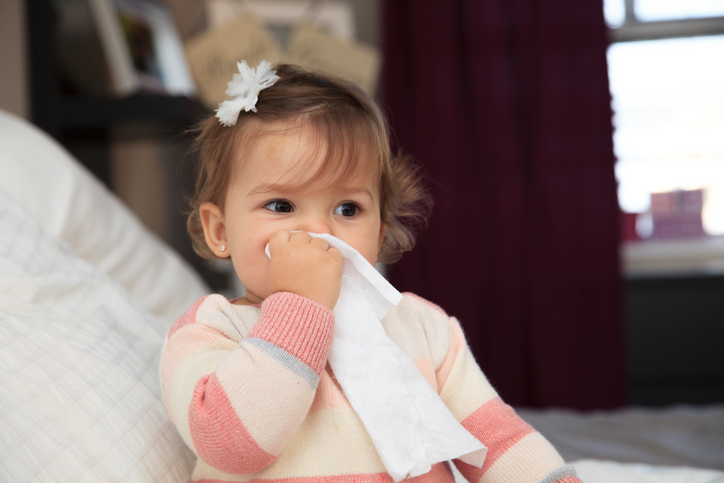 Even in adults, the evidence that they reduce colds and flu symptoms is weak. We recommend that you spend this money instead on extra soap, portable hand sanitizers, and tissues.